Ever thought about earning $100K in a year? What about $100K in a single month? 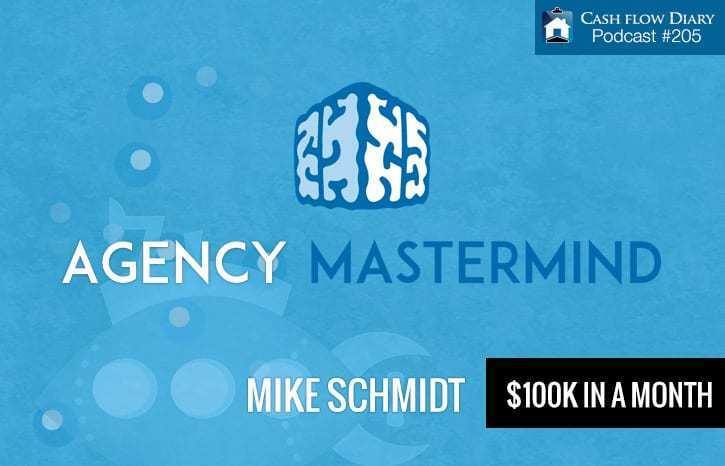 Hey, I used to think it was impossible, too, but in my first year as a real estate investor I had surpassed the six-figure mark and kept moving my needle forward. I am here to tell you that earning $100K in a month is not just possible… it’s probable. But it didn’t happen for me until I followed my passion and then took steps to keep learning and earning! When you do what you truly love and then put systems and automation in place to keep the leads coming in even while you sleep, you can’t help but to attract big money to you. For me it’s real estate investing. For others it might be something different. That got me to thinking… What does that $100K-in-a-month mark look like for other successful entrepreneurs? So I hosted a special series on my Cash Flow Diary podcast to find out. I was honored to interview a number of top earners and action-steppers over the past few weeks. What’s really cool is that the $100K-in-a-month mark was just a starting point for these individuals. Many of them earn many millions of dollars annually – yes, with an “s” – and some earn a million dollars in a month! It just goes to show you what a person can achieve when he/she believes in what they are doing and then keeps going with it. We’ll start with the most recent first… Marci Lock, also known as The Mind-Body Mentor! Marci earned her title as The Mind-Body Mentor because she helps people get in shape inside and out. She doesn’t just focus on the exterior body, but rather what’s driving the overweight and negative eating habits, like the stress of working a J.O.B. you don’t love and anything else that leaves you feeling unhappy or unfulfilled. These interior issues could be holding you back from living your very best life. 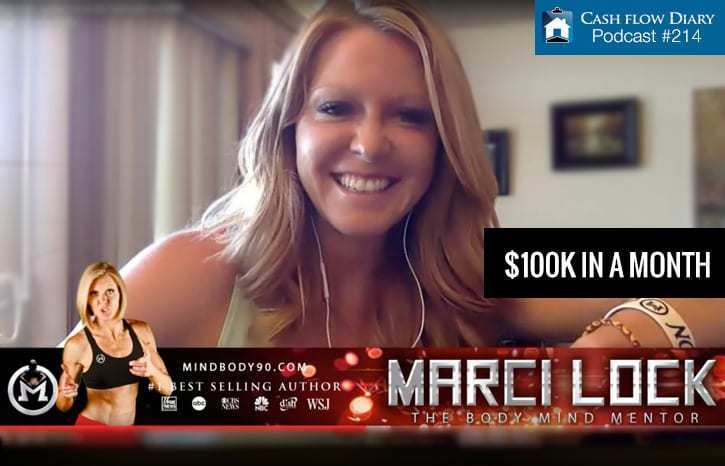 Learn more about Marci’s program at www.marcilock.com. Before Marci, I interviewed Kevin Kruse, an impressive speaker and entrepreneur who knows all about teaching leaders to drive others to follow them by creating emotional commitment, loyalty and employee engagement. 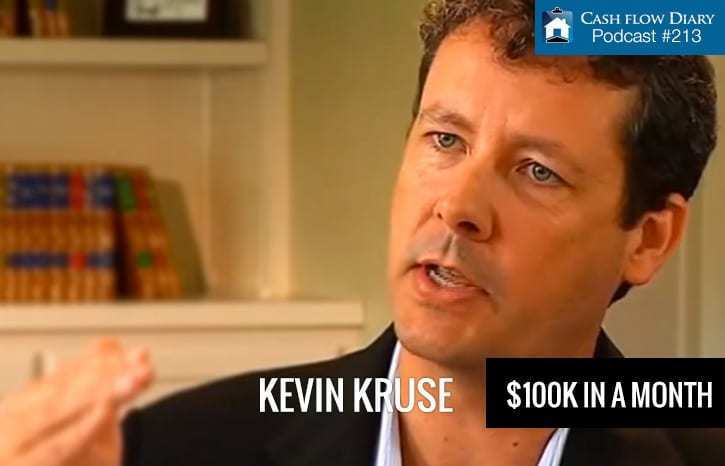 What can I say about Kevin Kruse? He is an inspiration! His leadership training is pretty awe-inspiring, too. He has authored and co-authored a few hot books, which you should check out on his website at www.kevinkruse.com/books. Kevin helps business owners and top executives become “wholehearted leaders” and teaches them exactly how to effectively engage their employees to create tremendous loyalty and, as a result, gain higher returns for their businesses. 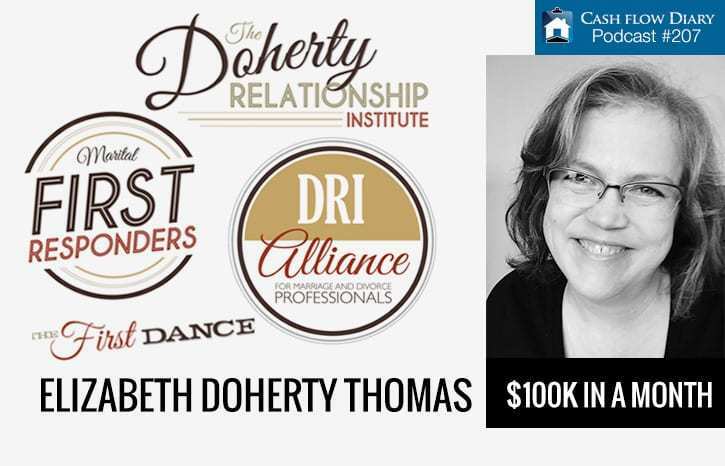 Before Kevin I had an amazing conversation with guest Elizabeth Doherty Thomas, a standout in the area of marital counseling who trains other counselors on how to be great “first responders” in order to help couples through trying times. Elizabeth created a program with her father that does something unique for marriage and relationship counselors. She gives them tools they can use to boost their practices. 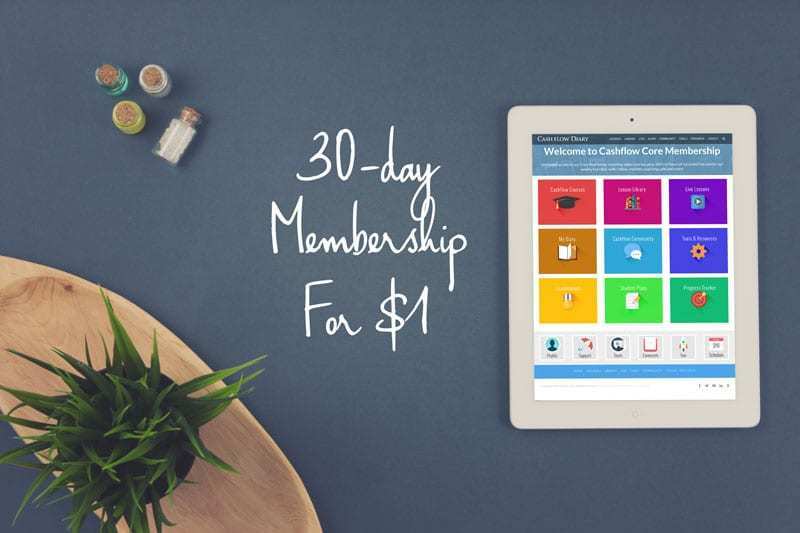 She offers systemized and automated her programs, putting them online for easy access. Her efforts continue to net her some astounding financial gains… like $100K in just SEVEN DAYS! Plus, she gets to help a whole bunch more people doing something she loves. That’s a big win-win if you ask me. There are two sites you should visit to learn more about Elizabeth and all the wonderful things she’s doing: http://discernmentcounseling.com/about and http://thomasconsultation.com. 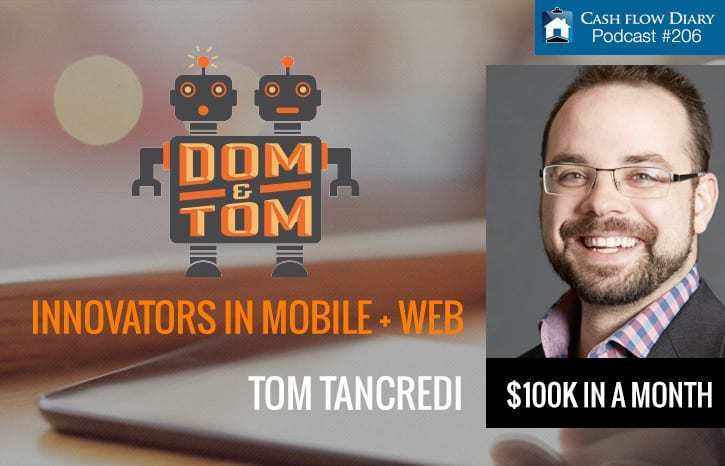 Before Elizabeth, I spoke with Tom Tancredo, co-founder of DOM & TOM, a pretty darned cool mobile app development company. Tom and his brother Dominic formed a business that is included in INC. 500’s fastest-growing companies this year (2015). I had lots of questions for Tom, because I love technologies, especially apps. My interest in computer programming gave me the language to use in my interview with Tom, but he had a great deal to say on why he formed the company, what he’s doing and what’s coming for his brother and him. I guarantee that there’s more than one reason their company is recognized as being one of tremendous innovation! Learn more about Tom’s path and plan at http://domandtom.com/, but for a little more personal reading from Tom, go to http://www.tomtancredi.com/mysecretidentity! Before Tom I interviewed a very like-minded entrepreneur, Mike Schmidt, who fresh out of college started a web-design company and took it as far as his goals would allow… which is mighty far! Mike learned that systemizing and then automating those systems is the key to growth and prosperity in his realm. In the episode, Mike talks about failure events and mistakes that all entrepreneurs need to embrace before becoming successful at what they do. I found this episode to be highly enlightening, perhaps because Mike and I have similar views on a lot of things! Learn more about Mike, his experienced team and all they have to offer those who crave success at https://www.anchorwave.com. Before Mike came Joe Fairless, a fearless real estate investor and man after my own heart. 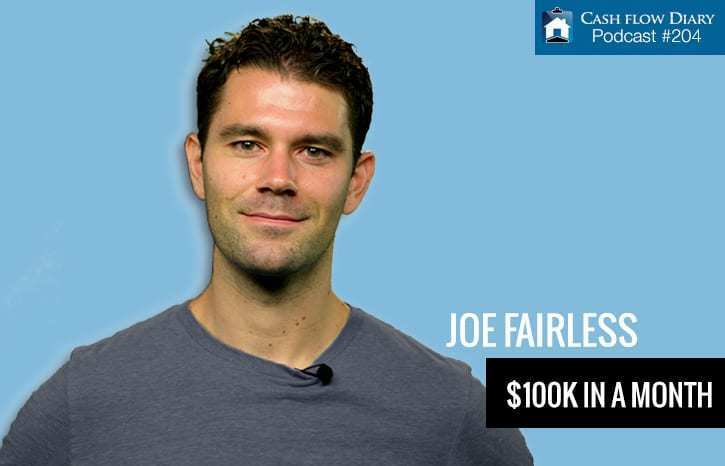 In this interesting episode honoring those who earn $100K in a month, Joe shares a lot about what he’s learned along his path to success in business and in life. One thing that surprised me is that Joe actually started out on the corporate side of the fence. However, that didn’t allow him to pursue his passions in real estate investing, so he made a choice… one that might have stopped other people from going after their dreams. Fortunately, Joe embraced the heck out of it. Want to know more about Joe? Visit Joefairless.com, where you can learn 10 interesting facts about Joe Fairless and a whole lot more! Before Joe, I had a chance to chat with Ryan Moran, a fantastic marketing expert, author and speaker who talked to me about breaking through a glass ceiling that doesn’t really exist. Ryan says any of us can make it to our goals of financial success if we just go for it and stop making excuses! Ryan sticks out in my mind because he’s on a quest to earn a million dollars in a month. Ryan has something in common with all my other $100K guests. He understands that automating systems is the only way to reach the level of success and wealth we all crave. He talks about this and lead generation, as well as lots and lots of other topics in this killer Cash Flow Diary podcast episode! 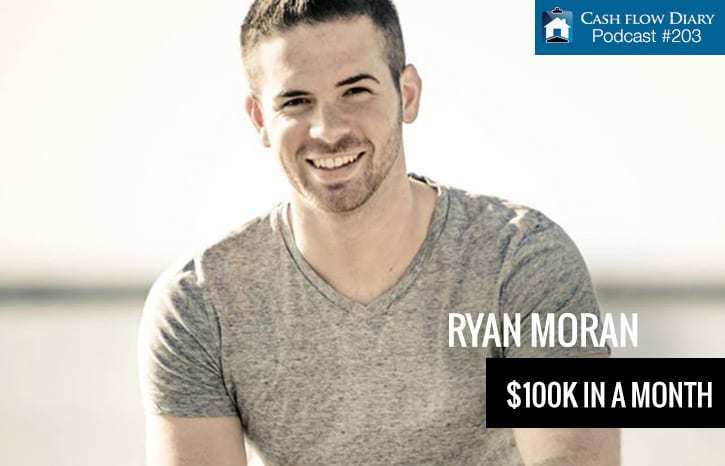 Learn more about Ryan and how to reach financial freedom faster at http://freedomfastlane.com. Before I spoke with Ryan, I was honored to speak with Darryl Lyons, whose Small Business Big Pressure site offers a faith-based approach to guide the ambitious entrepreneur. Maybe you’re one of them? 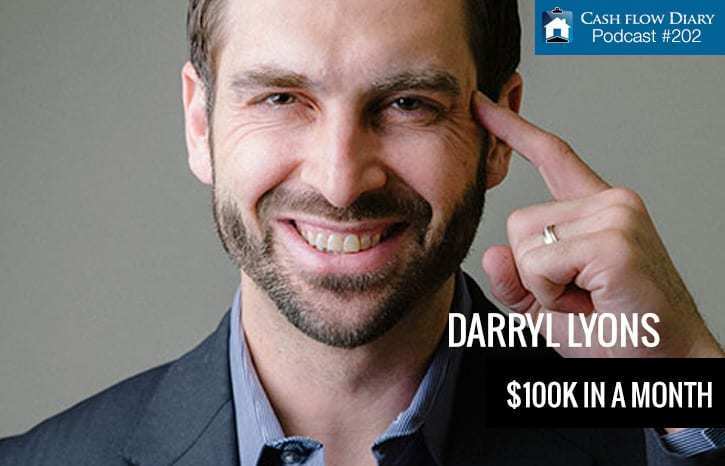 Darryl is fascinating, because he talks about how he said good-bye to the trailer park to put himself on a path to success and resulting financial security because he knew he was meant for bigger and better things. Darryl talks about how business schools and universities don’t exactly prepare us for the working world. He also tells us that there’s a better way than letting our small business control us; it should be the other way around. Learn more about Darryl, his struggles, his story and how you can overcome and thrive, just like he did at http://www.smallbusinessbigpressure.com. Jason is actually one of the inspirations for my doing this special series in the first place. Jason started out in life pretty impoverished and made the decision to change his path. That’s what he tells all of us we can do. There is no reason to stay stuck in a life with no intention or one that doesn’t make us feel fulfilled and sincerely happy. There is no reason to stay stuck in a life with no intention! 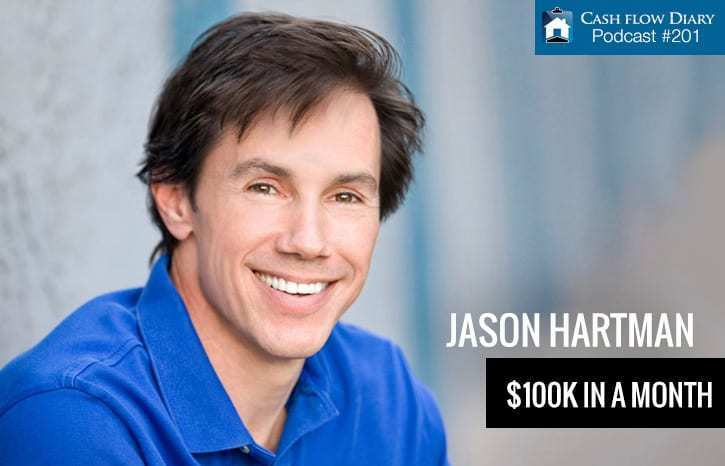 Click To Tweet Jason also tells us to steer clear of Wall Street and to invest instead in real estate, which is what he did to create his wealth. Not surprisingly, that’s one of the common threads I found among all my guests in this series. Each of them invest in real estate on some level. But that’s not all they had in common. All of them learned to systemize and automate their businesses to achieve the success they now enjoy. That’s something I had to learn, too. It’s the secret sauce of success! What you’ll find is that people who “get there” financially typically invest in real estate, but further… they learn lead-generation tactics, and they understand the importance of systemizing what they do and how automating those systems will keep cash flowing in the door. I wish everyone reading this blog post could get to this level of understanding so they can thrive like my guests and I do. That’s one of the reasons I founded Cash Flow Diary and continue to share my information and education with anyone who will tune in to my podcast, read my blog, read my materials or take part in my events. Be the biggest, baddest, best real estate investor you can be! Click To Tweet[/fusion_text] I want to help others become real estate investors, just like I did, so they can change their lives and create more financial freedom for themselves, like I did. I’m going to keep doing what I do so I can continue to help others better their skills and become the biggest, baddest, best real estate investor they can be! Not just that, but I also want them to be the biggest, baddest, best entrepreneur and business owner they can be. If you’re one of them… GREAT!! The skills of getting leads, building systems and then automating those systems don’t just apply to the world of real estate investing. These things are fundamental to the success across all businesses. If my words just hit you in the gut, it’s time to take action. If you want to be in a more financially stable place, if you want your business to grow and be far more successful, if you want to do more deals so you can walk away from your 9-to-5 J.O.B. or if you simply want to improve upon what you’re already doing as an entrepreneur so you can be a top earner, you have to do something… make a move… take an action.